Apple has highlighted a filmmaking workshop in a special report for the Apple Newsroom, revealing how it assisted the project with iPads, MacBook Pros, and support from its retail store to help students create three low-budget short films over the course of a month. Held in November last year, the project was designed to connect together emerging talent with creative professionals from the film industry, with the latter providing assistance and feedback to the budding directors and filmmakers, according to the Apple-produced report. Throughout the month, LA-based filmmaking group We Make Movies provided post-production supervision, and other industry experts were on hand to assist shoots and other areas. 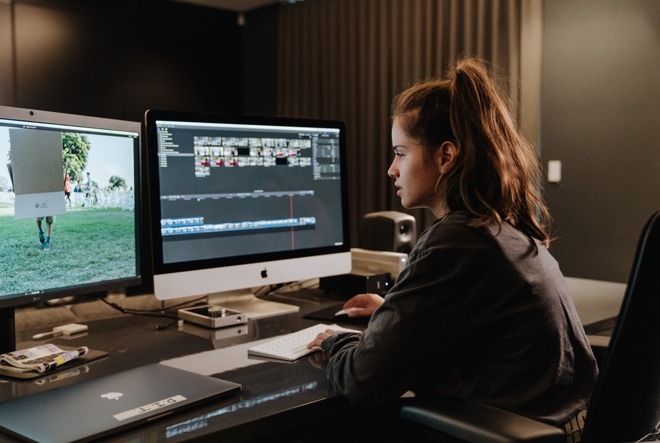 Apple supplied the teams with a variety of hardware to create their films, including the MacBook Pro, iMac, iPad, the RED Raven camera, while Final Cut Pro X was provided to edit together the final product. Apple Retail experts were also provided to help the filmmaking process, including during a two-week post production period. A number of surprise guests and mentors from various parts of the film and TV production industry provided advice and feedback to the teams throughout the post production time. 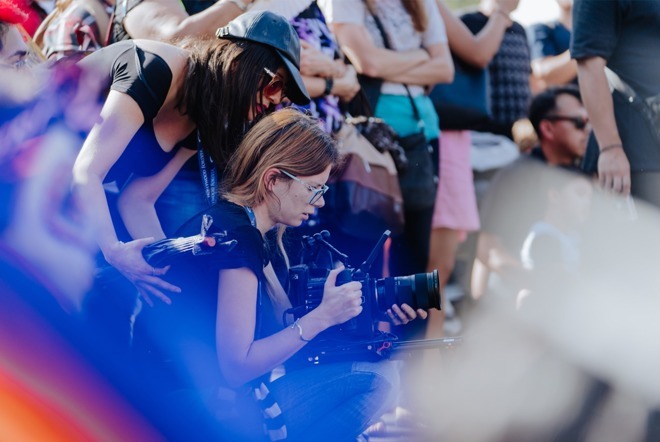 Luminaries providing their time to the students include 'LA 92' and 'Undefeated' director TJ Martin, and 'The Florida Project' director Sean Baker, who previously shot the 2015 film 'Tangerine' entirely on an iPhone 5S. A team of 10 students from Hollywood High School created the film 'The Box' for the project, a story where a boy is transported to another world when he climbs inside a cardboard box. 'La Buena Muerte,' by instructors from the non-profit Mobile Film Classroom, examined the mortality and family bonds surrounding the Mexican holiday, the Day of the Dead, while 'The Dancer' tells a personal story about a performer confronting the afterlife. Participants learned a number of different important film-making lessons during the process, such as The Dancer's director Krista Amigone working with Apple Retail Pro Lionel Martin to color correct the palette of scenes to evoke specific emotions during a performance. By experimenting with Final Cut Pro X's color wheels, the pair adjusted the colors of scenes to achieve a balance between an illuminated dance floor and the reverse shots of an accompanist, with the musician appearing to be lit with a golden glow seemingly emanating from the dancer. Aaron Kaufman, a director and longtime producing partner of Robert Rodriguez, advised the teams to be at ease with losing shots in service of story, advice which affected all the teams. The Box director Celine Gimpirea, aged 17, took this advice to heart, cutting an entire scene filmed at Calvary Cemetery from the film. Commenting on her project experience, Gimpirea said "Knowing all the possibilities that I have in post now, it allows me to look completely differently at production and pre-production, and to pick out, more precisely, what I want." All three short films - The Dancer, The Box, and La Buena Muerte - are available to watch on YouTube.